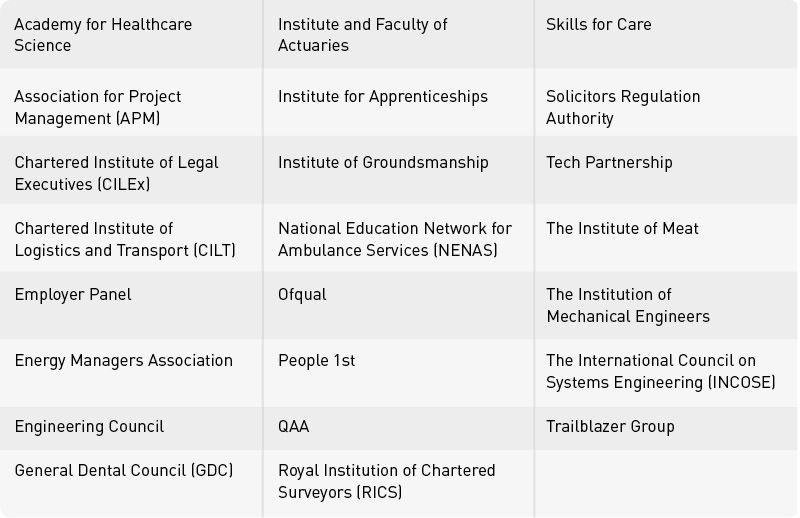 The Institute for Apprenticeships is the most popular choice for external quality assurance for apprenticeship standards – even though it was only set up as a “last resort” option for this sort of thing. 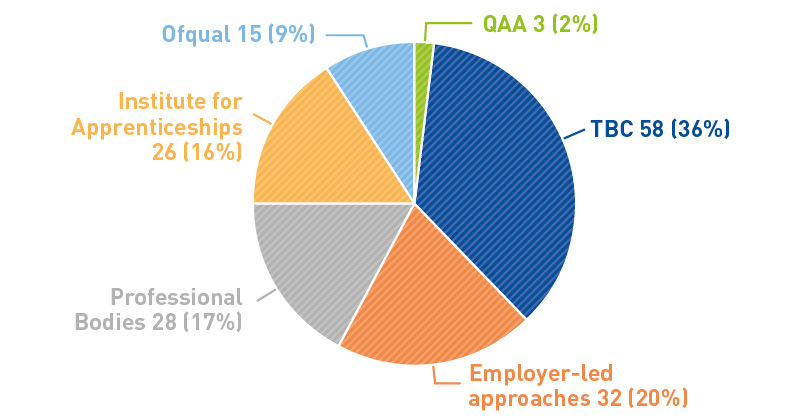 Of the 162 apprenticeship standards currently approved for delivery, 26 have chosen the IfA as their EQA route, compared with just 15 that have gone with the government’s official qualifications regulator Ofqual. The Quality Assurance Agency, which generally deals with higher education qualifications, is also available, but has been named for quality assurance with just three standards. A further 58 still have no confirmed choice of EQA provider, while the remaining standards have selected professional bodies or employer-led approaches. An Ofqual spokesperson said that in the new apprenticeship landscape it was “inevitable” for trailblazers to reach “different conclusions regarding their preferred EQA provider”. However, he defended Ofqual’s credentials, saying: “We start from a base of having renowned assessment expertise, regulatory tools and a tried and tested framework. He added that Ofqual is also “exploring how we can work in partnership with employers and professional bodies as providers of the EQA role”. Speaking during a webinar on January 6, Peter Lauener, the shadow chief executive of the IfA, told FE Week’s editor Nick Linford that the IfA did not have “the resource to do the quality assurance role directly”. He also insisted it would be acceptable for the Institute to charge for EQA because “the principle of a regulator charging bodies in the industry for regulation is not uncommon at all”. Furthermore, while Ofqual, QAA and other professional or sector bodies which Trailblazer groups may set up to tackle EQA will be overseen by the IfA, the Institute itself will not have an organisation regulating its delivery of this role. FE Week understands that the IfA has yet to tender for its EQA work, despite plans to start procurement in February. And last month the Department for Education ran a consultation on the draft operational plan for the IfA, which invited feedback on quality assurance and other functions, and closed on February 27. In its own response to the operational plan, Ofqual branded the “responsibilities and accountabilities” in the current apprenticeships system “blurred”, labelling it “crucial” to make the landscape “clear and easy to navigate”. FE Week asked both the IfA and DfE to comment this week on whether they were now rethinking the IfA’s role in the process, and what would be happening with the EQA tender. They declined to comment. Terry Fennell, chief executive and responsible officer at specialist awarding organisation FDQ, told FE Week that having four different EQA options is “extremely worrying for awarding organisations”. He said: “We are used to one set of rules set out by Ofqual for qualifications and to this end all AOs are in the same game with the same expectations. “When it comes to end-point assessments there are three new EQA bodies in the market and each is likely to have a different approach.